Hebden Bridge in West Yorkshire has topped a list of the Best Places to Live in the UK as part of the Paradise Found project from analytics company SAS. The project analysed masses of publicly available information like data from city studies, social media sites, review sites such as TripAdvisor, geodata and reports from statistical services and agencies such as UNESCO and WTO. The information analysed included: the weather, the job market, healthcare, price indices, environmental pollution, public transportation, and green spaces. The Calderdale town of Hebden Bridge topped the list of UK towns, and came fifth worldwide behind West Perth in Australia, Feijenoord in The Netherlands, New York and Sandy Bay in Australia. Hebden Bridge is a National Trust beauty spot, a picturesque market town in the Calder Valley with loads of independent shops & cafes and some fantastic countryside walks. It's a funky town, with arts festivals, a beautiful art deco cinema and an iconic music venue The Trades Club. Hebden Bridge is known for its unique 'upstairs-downstairs' houses, also called 'under and over dwellings'. With steep hills and limited flat land, houses were built into the hillsides with 4 or 5 storeys. The bottom storeys are one home facing downhill, while the upper storeys are another facing uphill. This has led to a special legal arrangement called 'flying freehold' for such houses. Learn more about property in Hebden Bridge. The neighbouring Calder Valley town of Todmorden and offers a wide range of property types to buy or rent. A few miles further is the minster town of Halifax. 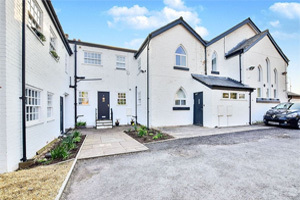 With train links to Manchester and Leeds, it's a popular commuter town and properties to buy or rent are always popular. And Yorkshire's county town York was recently named the best place to live in the UK by a poll in The Sunday Times.